Our working culture typically puts people in cubicles and deprives them of natural sunlight. But in a strange twist, your life as an office vampire could all change thanks to the sprawling bureaucracy of the United States government. Like we said, this isn't a typical situation. That's because the US Department of Agriculture wants to pay you to go full Walden by managing two of its guard cabins located in Colorado's San Juan National Forest. The role, which involves prepping the Aspen and Glade Guard Stations and renting them out to the public, is something of a nature-buff's dream. If selected, your workplace would go from mundane to downright serene, as you'd be tasked with maintaining the historic facilities like the human counterpart of Smokey the Bear, or something. The San Juan National Forest is basically a massive recreation facility, as people regularly use the scenery as the backdrop for various activities, such as hiking, boating, picnicking, horseback riding, and fishing among many others. Consider this a cue as to how you'll be spending your weekends and free time away from the cabins. For maintaining the properties, which count complete kitchens and wood-burning stoves among their amenities, you'd receive additional compensation from any leftover revenue after the government takes its share from the rental fees. Plus, you'd probably get to wear a big ol' ranger hat while on the job, and use it to command respect from tourists. Sounds like a win-win. According to the job listing, applicants must apply before October 27, and prospective candidates must be ready to send in their applications via regular, old fashioned mail. The tenure of the job is a mandatory two-years, with the option to make it a five-year saga if you choose to extend your stay at the park, which is located about 10 miles outside the nearest city. 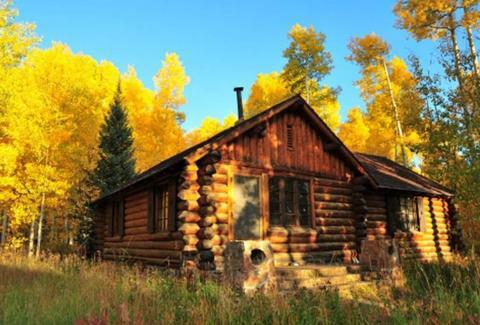 In any case, if you're looking to escape the monotonous slog of laboring in front of a computer, the Colorado wilderness probably sounds like a welcome departure from the confines of your office.